The party's 2020 candidates are figuring out how far to go in overhauling the system. WASHINGTON — When 2020 presidential hopeful Kamala Harris came out for single-payer health care that would replace private insurance, she took a side in what is emerging as one of the sharpest fault lines in the Democratic field. "The idea is that everyone gets access to medical care, and you don't have to go through the process of going through an insurance company, having them give you approval, going through the paperwork, all of the delay that may require,” Harris said in a town hall in Iowa on Monday on CNN. Led by Sen. Bernie Sanders, I-Vt. and energized by his 2016 campaign, one set of Democrats see "Medicare For All" as a necessary all-encompassing overhaul of the health care system. Medicare For All supporters celebrated Harris' comments as further evidence that their position had taken hold of the party's mainstream after being dismissed in 2016 by Hillary Clinton as "a theoretical debate about some better idea that will never, ever come to pass." "There is no viable path to the Democratic nomination for someone who does not support single-payer health care," Sean McElwee, founder of Data For Progress, told NBC News. "It's done." Under legislation proposed by Sanders, Americans covered by private insurance or government programs would instead get their care through a new version of Medicare with more generous benefits, including dental coverage, and no premiums or deductibles. Supporters of single-payer argue it's necessary to replace the entire system of financing health care, which spends far more per patient than other developed nations, in order to achieve maximum coverage and deliver the most cost-efficient care. The Sanders' bill is co-sponsored by Harris along with other presidential contenders or potential candidates Elizabeth Warren, D-Mass., Kirsten Gillibrand, D-N.Y. .and Cory Booker, D-N.J., among others. But then there's the other side of the party, which favors a more incremental approach that typically expands public coverage without eliminating private plans. And it can be difficult to tell the sides apart sometimes. One notable 2020 name in the incrementalist camp is Sen. Sherrod Brown, D-Ohio, who didn’t sign onto the Sanders bill and has proposed allowing more people to buy into Medicare instead. Former New York Mayor Michael Bloomberg, another potential candidate, criticized Medicare For All in New Hampshire on Tuesday, but suggested he also might support a more limited public plan. "You can have 'Medicare-for-all' for people who are uncovered," he said, according to The Hill. "But...to replace the entire private system where companies provide healthcare for their employees would bankrupt us for a very long time." But even some of the same senators backing the Sanders bill, including Harris, have also signed on to legislation that expands a Medicare or Medicare-like option to more people without ending employer-based insurance. This created some confusion on Tuesday after a CNN report quoted a Harris aide who noted that she also supported the more moderate plans. That led to a wave of speculation that Harris was backtracking on her Monday town hall comments, which her campaign denied. "Her preferred plan, as we have always said, is Medicare For All," Lily Adams, a spokeswoman for Harris, told NBC News in an email. "That’s her plan. She has cosponsored other bills to expand coverage, which is good." The CHOICE Act by Sen. Sheldon Whitehouse, D-R.I., and co-sponsored by Harris, Booker, Warren and Brown, among others, would create a public insurance option on Obamacare's exchanges. The State Public Option Act, by Sen. Brian Schatz, D-Hawaii, and Rep. Ben Ray Lujan, D-N.M., would allow Americans to buy into a Medicaid plan and is sponsored by Harris, Booker and Warren, as well as Sanders. There are several other Democratic bills floating around that are centered on a public option as well. While less far-reaching than Medicare For All, the various proposals are less disruptive and require fewer new taxes. If implemented, most Americans who get insurance through their job might notice anything had changed, at least at first. By backing multiple approaches at once, Democrats showed a united front in favor of expanded public health coverage and against Republican efforts to repeal Obamacare and cut Medicaid. But it's harder to suss out their individual voices when everyone is singing together. This ambiguity helps explain why Harris' comments were so notable even though she's already signed onto Sanders' bill and already endorsed the concept in her recent book. It's one thing to say you support Medicare For All, it's another thing to talk up one of its most controversial provisions rather than vague goals of universal coverage or your fallback plan if there aren't votes for single-payer. 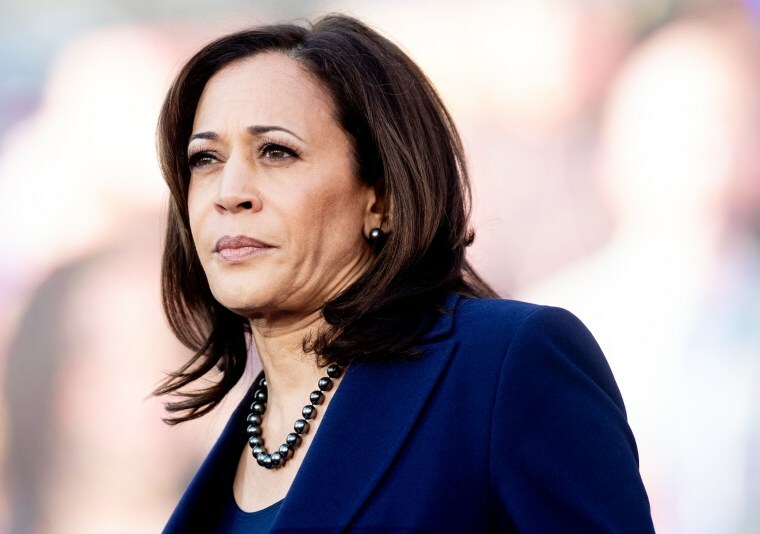 Republican attacks on Medicare For All did little discernible damage in the midterms, but there are signs that the approach Harris outlined could become a liability if proponents aren't careful in selling it. A recent poll by the Kaiser Family Foundation found that 56 percent of respondents were favorable toward Medicare For All, but also unsure what it entailed, with more than half saying they assumed they would be able to keep their existing coverage. When told that a plan would eliminate existing insurance, respondents moved form supporting it by a 14-point margin to opposing it by a 21-point margin.